Join us for a weekend at Camp Tekoa that is designed for those with developmental disabilities. Barnabas is known for showing great kindness to Saul (apostle Paul) and his Hebrew name translates to “son of encouragement.” We hope to extend such encouragement and kindness to our Barnabas campers just as they encourage us. Campers enjoy activities such as boating, hiking, zipline, arts & crafts, devotions and talent show performances. Each camper is partnered with a companion friend who remains by their side throughout the weekend offering them encouragement and care for eating, sleeping and all the fun in between. Barnabas campers are to be ambulatory and must be able to feed, bathe, and clothe themselves. If you have questions or need more information please don't hesitate to contact us! Thank you! We will be sending you supplemental paperwork for you to complete for each participant as the weekend gets closer. Thank you! We will be sending you supplemental paperwork as the weekend approaches. 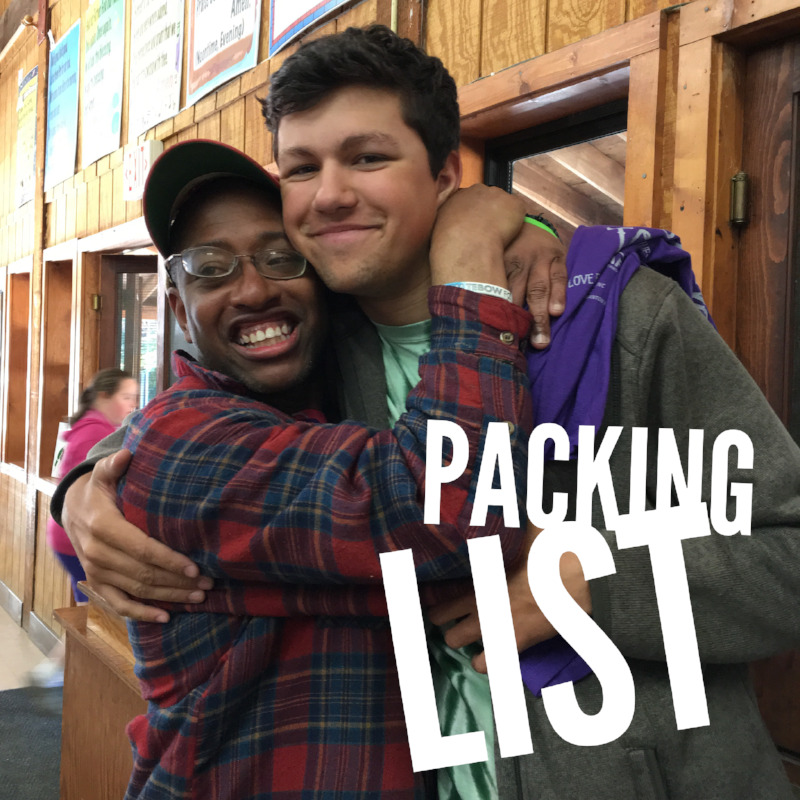 Volunteers are need to come spend the weekend at Tekoa! On Friday when you arrive you will be partnered with a camper for the duration of the weekend. You will do all camp activities along side your camper although most of what we do will happen in large groups. It is imperative that you are willing to focus your energy on your camper and what she/he wants to do. We will try to match people based with campers based on whether they would prefer a more sedentary or active camper. There is not a set age for volunteers as we have seen many kids flourish in this setting and are able to love on the campers in a very special way. We do ask that kids come with a parent. Kids will be assigned to a camper with their parent so that they can work together to care for the camper. Youth do not necessarily have to come with a parent, but should come with a supervising adult. *The total cost per person to cover food and housing for the weekend is $100. We ask you to contribute $50 and we fundraise the rest. If however, you are able to contribute more than $50 we’d greatly appreciate it. And If $50 is not doable, then just pay what you can, we still want you to come! Most volunteers will serve as One-On-One companions. If you are interested in serving on the support staff please complete the registration and then notify us of your interest.